Ford is testing the pre-production version of its new Ford Ranger in both Austraila and America. The new Ranger Raptor in this video is the Austrailian version coming this year to that market. Interestingly, the public page of the Ford Ranger website in Australia says, "Tested extensively in the harshest desert environments in both Australia and the USA, the Ranger Raptor chassis delivers maximum toughness and high-spec performance." Ford says this new video was taken in New Zealand. News that the Ranger is indeed being tested in the United States will be welcome news to fans awaiting the return of the Ranger to the U.S. market in early 2019. Ford has not officially confirmed the Raptor trim for the U.S. It is unlikely the Ranger Raptor will be an early trim in the U.S. Production limits will ensure that every Ranger sold by Ford in America in its first new model year of 2019 will sell immediately. Ford will focus on luxury and mainstream trims and then launch the new Ranger Raptor in the 2020 or 2021 model years. Chevrolet did this same type of launch with the Colorado ZR2 off-road pickup truck. Unlike the Austrailian Ranger Raptor, which uses a two-liter turbocharged engine, the base American Ranger will have a 2.3 turbo. Ford will likely add power somehow to the Raptor trim of the U.S. Ranger, but it is too soon to tell how. The 2.7-liter V6 turbo would be an interesting engine for that truck if it will fit. 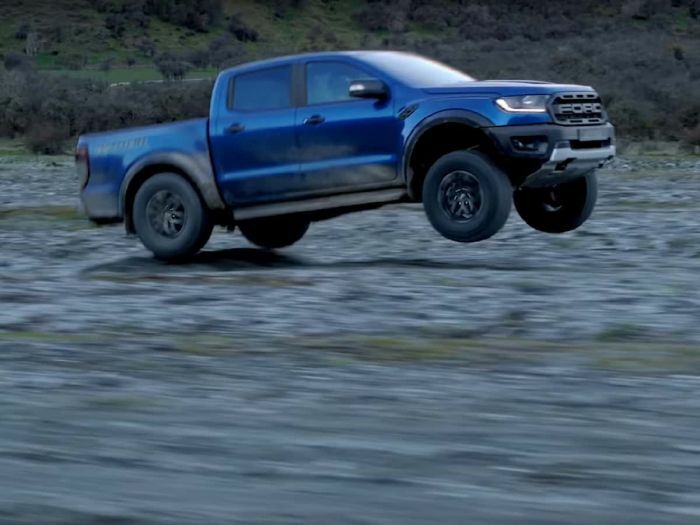 As we wait for the 2019 Ranger in the U.S. we will have to make due watching the Austrailian Ranger Raptor owners have all the fun. The new Ford Ranger has a very good look.